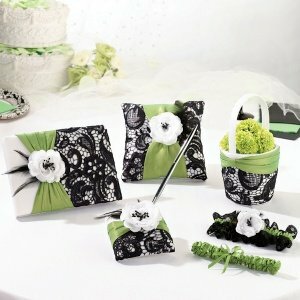 Fresh green and jet black make a modern color scheme for your wedding accessories. 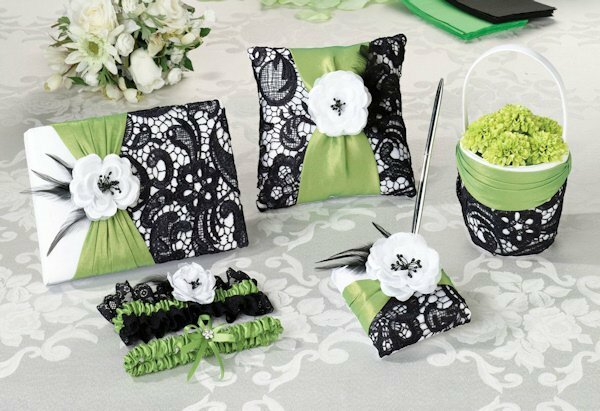 This stunning Green & Black collection includes these five popular and striking accessories: a flower basket, guest book, pen set, ring pillow and a pair of garters. These items complete an interesting and colorful wedding theme. Each of these items may also be available separately.